We are a Brisbane based engineering company specialising in Alloy Fabrication featuring an advanced ABB Robotic Welding System for our clients specialised contract welding. Robotic Welding is a surprisingly affordable option for those large volume repetitive welding projects. At OzTech we can cater for clients' needs with all aspects of robotic welding including, linear welding, rotary welding, circular and coordinated welding that is, the positioner and robotic MIG torch move in unison allowing for complex access to different weld positions. 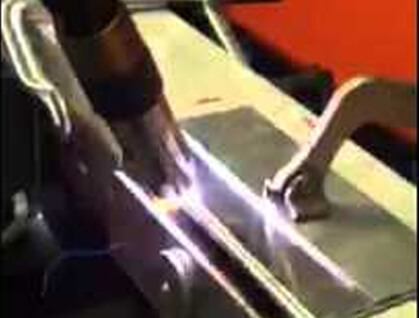 Our Fronius CMT Advanced welder can weld virtually any metal that carries a current. Aluminium, ERW Steel, Stainless Steel, Black Steel, Copper and Brass. Material thicknesses from .6mm to 16mm are no problem with light gauge Aluminium welding being a specialty. We can offer a competitive fabrication and welding service for Aluminium and Stainless Steel including CAD designed client ideas, 3D drawing service usually at NO CHARGE for simple drawings. 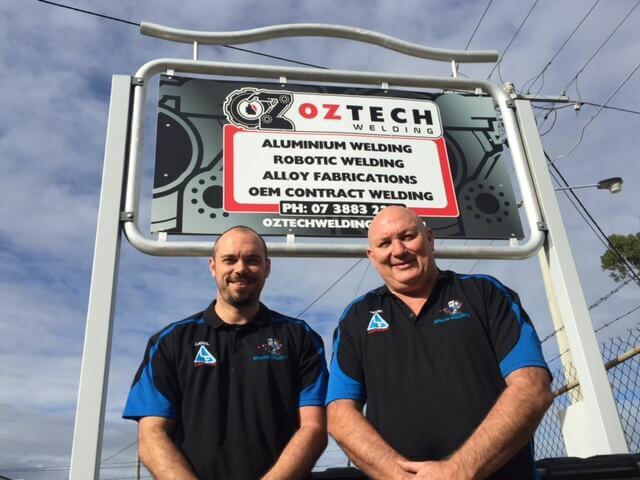 Meet the father and son team who are behind OzTech Welding's success. 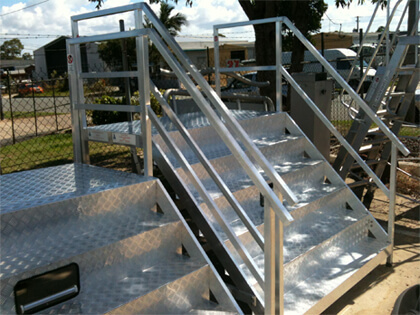 Want to see the type of work OzTech Welding has done? Please see our gallery for a sample of the diversity of work we can do such as some of our recent robotic welding and metal fabrication jobs.